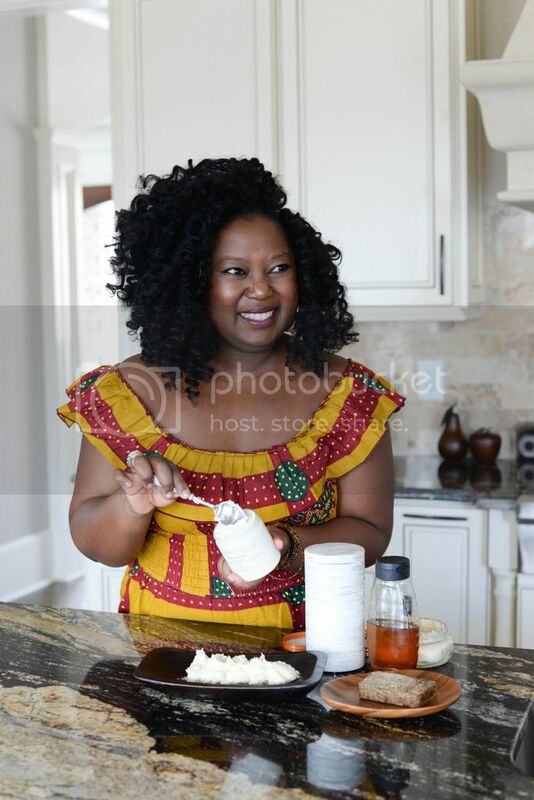 Born in Brooklyn, NY and raised between Accra, Ghana and Atlanta, Georgia, by a mother who had a passion for cooking, baking and making at home lotions and soaps, the seeds of DIY and hard work were planted in Davida at a young age. Since birth, Davida has collected beauty tips from the Ghanaian women in her family and now she is sharing the Kate Lynn & Adwoa Skin + Body care line with women all over the world. Her entrepreneur journey started in the fashion and beauty industry having worked with the world's top magazine publication company - Conde Nast Publications and the world's largest Public Relations Firm - Edelman PR, she gained experience through some of the world’s top beauty brands. It was only a matter of time before she followed her heart and created her own product line. In 2015, Kate Lynn & Adwoa Skin + Body care line was launched! The line is named after Davida's grandmother (Kate), sister (Lynn), and mother (Adwoa) and is true to her mission – to provide 100% natural skin care products that are not only beneficial to our skin, but also serve as tribute and source of empowerment to the women of Ghana.